The Aliante represents the most cushioned of Fizik's lineup for less flexible riders looking for optimum comfort and performance. This R1 model features an evolved sleeker profile than the Aliante Gamma, and its Twin Flex construction allows the inner shell to provide support while still maintaining structure to keep pedaling efficiency high. A Carbon Kevlar shell reduces weight as do the braided carbon rails. Shell: Composite carbon co-injected Nylon TwinFlex. Cover: Thermo-welded Black Gummy Microtex. This is my 3rd summer biking, started as a retirement hobby and have put about 7000 miles on my 2015 Trek Domane 5.2. As a new biker I had several bike fittings and tested quite a few saddles trying to get comfortable. 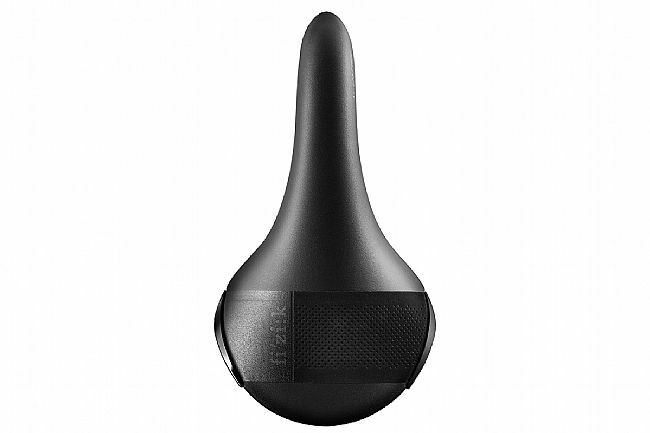 Finally I read enough to be skeptical of the need for relief in the center of the saddle and decided to try the Fizik Aliante saddle without any anatomic cutout. I can now do 60 mile rides without saddle problems. I purchased the R1 model with carbon rails because at $ from Bike Tires Direct it wasn't much more expensive than the R3 with Kium rails. 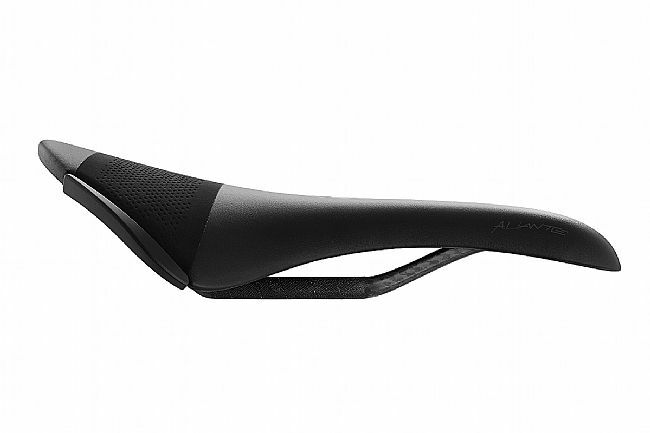 Went with the Aliante model saddle which, according to Fizik, is made for Bulls who are less flexible individuals. By Fizik standards I might have been OK on the Antares which is good for Chameleon (middle flexibility). I tested both the Aliante and Antares, but only 10 miles, which is not enough to really know for sure, and was more comfortable on the Aliante. Fizik also has the Snake saddles for the very flexible, see the Fizik website for details. I purchased the large model because for my sit bone measurement that was what Fizik recommended. Setting up the Aliante saddles for level and setback is somewhat tricky. 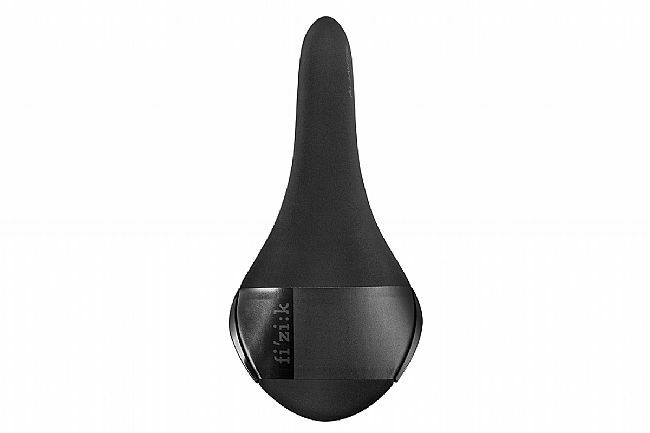 The wavy shape of the saddle makes it hard to get a level in the right position which according to a Fizik video is the 1st 3 inches of the saddle, and because there is a limited range on the rails for saddle setback. Finding the right right tilt for the nose of the saddle was trial and error for me to find a setting where it didn't feel like I was falling into my handlebars. Whether the saddle is level or tilted up or down a little depends on where I am sitting on the saddle. I am 6'3 tall and have the saddle set back as far as allowed by the markings on the rails and it feels right but wish I had more room for adjustment just the same. I also discovered when installing the saddle I needed a different seat clamp on my seatpost for the oval carbon rails which added $ to the cost. All told this is the most comfortable saddle I have ridden and now have over 1200 miles on it. 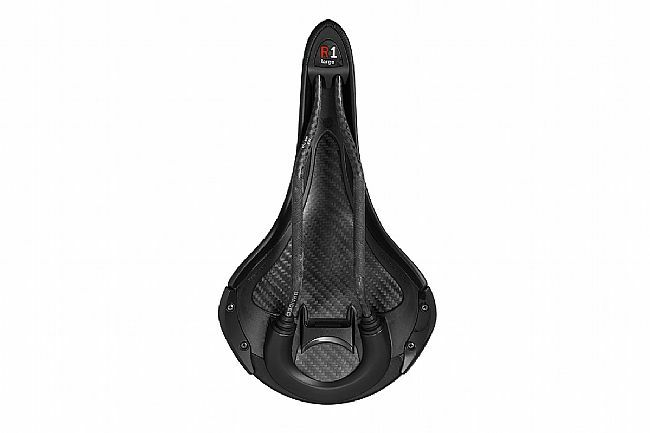 I am not sure the value of saddle reviews as there are riders in my bicycle club who use all of the saddles that I rejected and find them comfortable. In any case I post this review for what it is worth. I have used the Non Carbon version of this saddle on every one of my bikes for the last 10 years and loved it. I thought I'd step up to the carbon version for the weight savings and this saddle does not disappoint. Its stiff, but comfortable and the carbon really does absorb much of the road vibration. Pricey, but any saddle in this one's category is easily as much if not more. I've tried a few, and only this one remains unreturned. I'm a rider that does not do well with center relief channels, you that's you, this is your saddle. This is a very comfortable saddle. A little different from the previous generation of Aliante saddles that tended to be softer. 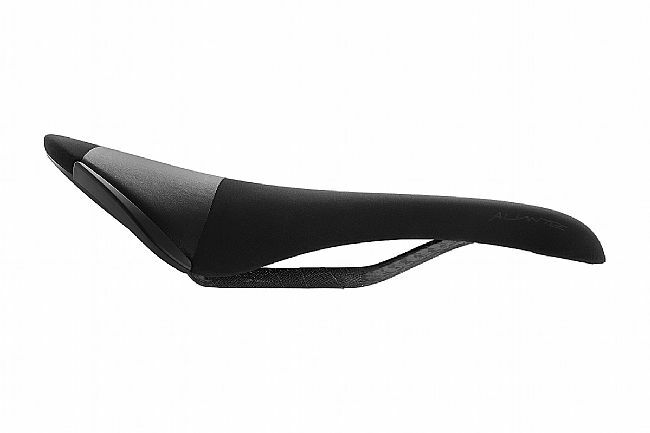 Overall comfort and fit of the saddle was great from ride one. Really like this saddle, and furthermore fiziks fit system with the bull, snake and chameleon based on your flexibility.